“I chose ‘Termite’ Terry Pest Control, Inc. based upon the positive feedback from Angie’s List. Skip Haffke came out to my home and performed a thorough examination of termites. Skip was extremely professional and has a lot of experience and knowledge in dealing with the termites. Skip provided all of the necessary information to me on the method to eradicate the termites along with an overview with the entire process. He provided me with a proposal that I thought was fair and appropriate. 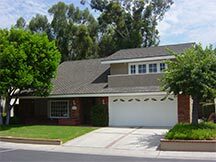 Upon acceptance, he provided me with a owner’s checklist, as well as a brochure from Dow Agro Sciences, the manufacturer of Vikane gas that detailed what California homeowners need to know about the product as well as the product bulletin. Skip also provided me with ample supplies of Nylofume bags used to protect food and other commodities during the fumigation process. A crew of three arrived at our home on a Thursday morning September 6, 2012 around 10:30 AM. It was obvious to me that this crew was very experienced as they tented my two-story home in about two hours. They were very careful of my property and were very polite. I returned to my home on Saturday September 8, 2012 and the same crew arrived around 11:15 AM. Again, they were very efficient in the method in which they removed the tent, section by section. Upon completion, they cleaned up my yard, neatly folded their tenting sections and placed their equipment back onto their truck. “Termite” Terry says that if your home has a tile roof and you’re thinking about having your home fumigated, this is one letter that you have got to read before you even think of hiring anyone! “Referral is the best way to promote business and I have to believe it is working for you! My house has a fragile tile roof and I was concerned about a tenting crew walking over it and leaving broken tiles. I looked at several companies to do my tenting and never felt confident that they would be conscientious about protecting my roof. On this referral, I called Joe Johnston and he inspected my house. I mentioned my roof concern and he assured me that you have a consistent crew that you work with, men who have years of experience and know how to preserve roofs. I had Joe Johnston from Terry Termite perform a termite inspection on my home in September. Joe was the third inspector I had at my home and Joe was very detailed with his inspection. He spent about double the time inspecting my property vs the inspectors from the other companies. 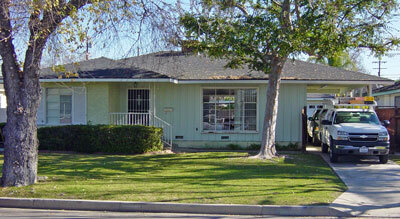 In November, I entered into escrow to buy another home where there was some obvious termite damage. 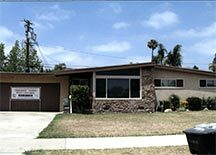 The seller presented us with a vague termite inspection report showing minimal damage. 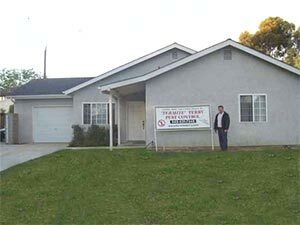 I hired Joe Johnston from Terry Termite to inspect the property as a second opinion and Joe found damage exceeding the report presented by the sellers by three times. At this point I requested Terry Termite to do the extermination and wood repair as a condition to complete my purchase. Joe followed up and kept all parties informed of the status of the work being done, he even called us during his vacation. Terry Termite and Joe Johnston did an outstanding job and I would highly recommend them. If you are a buyer, protect yourself and hire Termite Terry for a second opinion. I am glad I did, it saved me several thousand dollars in repair work. “Thanks for a great package job: Inspection, Quotation, Pre-Fume Prep Talk, Fumigation, Clean-up. Evidence of the effectiveness is no silverfish and dead grass patches around base of house. That stuff was potent! “I am a retired police officer. Terry’s services are always fast, professional. And all the workers that he has are fast and professional also. They give you a good value for your dollar. They come in and do the job quickly and accurately the first time. I was taken care of 100%. Anything I needed, they took care of. “We would just like to thank you so very much for all of your hard work on our house. Everyone in our neighborhood stops by and smiles. You’ve brightened up a little part of this area and a large part of our lives. All of the employees of your company have been cheerful, helpful and a true pleasure for all of us to meet. “I am an engineer and live in Costa Mesa. Termite Terry came out and did an inspection on my house last summer and determined we had some termites. He fumigated the place in December. Here we are in May, five months later and I thought maybe we had signs of a problem again. Termite Terry popped right out here as soon as I called him. He took a quick look and determined it was not a termite problem. I appreciate that and recommend him highly to anyone. “I was very happy with the job your people did. I had the same concerns as I’m sure most homeowners have. Your people were 100% professional, from showing up on time, to take their shoes off inside the house, to take extra precautions to protect the roof. Also appreciate your personal involvement in explaining the entire process to me and my wife as well as supervising the installation of the tarps. – Linda Rowberg, Homemaker, Anaheim. – Trudy Sandmeier, Pacific Palisades. 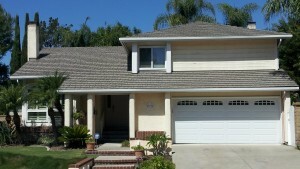 – Kory Lee, Contractor, Yorba Linda. – William G. Mitchell, President/CEO, Better Business Bureau. “My name is Ron Shelor and I live in Topeka, KS. I’ve been in the construction field as a commercial and residential remodeling contractor for 35 years. My mother, who lived in Huntington Beach, Ca. passed away in October of 2007 and I came out here to take care of her estate. Part of that task was to sell her house. I hired a realtor and he recommended “Termite” Terry to do the termite inspection. Terry looked over the house and found numerous damaged areas like the facia, eaves and decorative boards that needed to re replaced. – Ron Shelor, Contractor, Huntington Beach. – Bob Wood, Nuclear Physicist, Newport Beach. 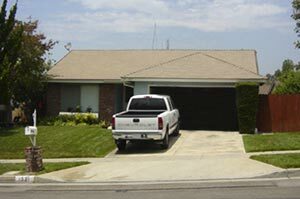 If you’re interested in the Fumigation Services offered by Termite Terry please feel free to call us at 949-631-7348 in order to set up an appointment or use our online Order Form and we’ll get back to you as soon as possible.